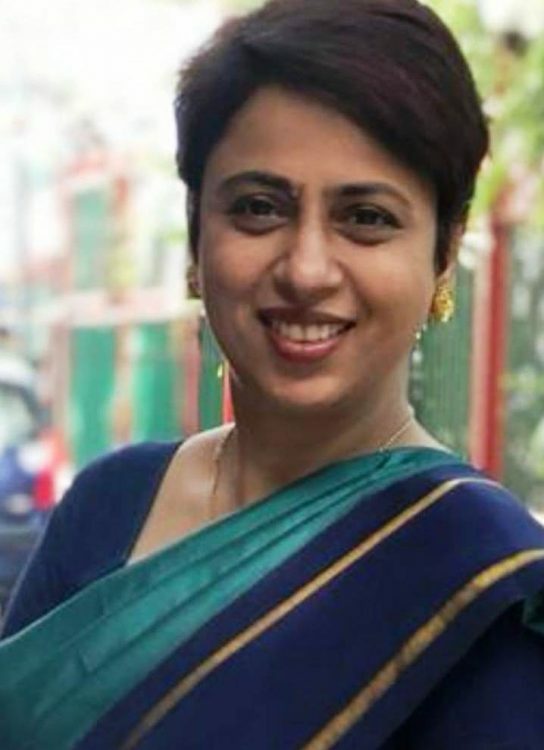 When I joined IHM Mumbai, (Dadar Catering College) in 1994, that’s the time I used to see the Fantasie Fine Chocolates hoardings near the institute and that’s also when I heard about her. 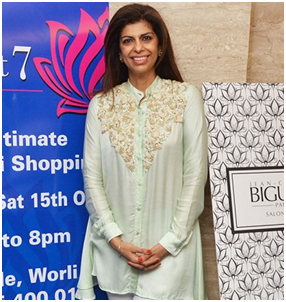 I am a chocoholic and you can imagine the adulation I had for the brand and Ms. Zeba Kohli. It’s indeed my honour and a privilege to be able to share her story to the masses not just the hospitality and Page 3, on this portal meant for the women who have shaped the hospitality industry and whose contributions are truly note worthy. One such lady is Ms. Kohli, Chocolatier & Entrepreneur who has had a stellar career spanning over three decades. She has been handling Fantasie Fine Chocolates, her maternal grandfather’s venture.When it comes to chocolate brands in the Indian market, Fantasie Fine Chocolates is one name that stands out. Being a third generation chocolatier, Fantasie Fine Chocolate was started in 1946 by her maternal grandfather. She has reinvented and revamped her brand. Her designer chocolates have captured many hearts making it the most loved Indian Designer Chocolate Brand. She has created not only a huge spectrum of flavours but also chocolate body paints and chocolate fashion accessories. She not only is passionate about making world class chocolates but also conducts workshops for adults and children. Under her brand she also organizes Chocolate Theme Parties and amazing Chocolate Buffets. She is the Managing Director of Good Housekeeping and was featured as an Inspirational Woman by Zerbanoo Gifford in her book ‘Confessions to a Serial Womaniser: Secrets of the World’s Inspirational Women’ in London, U.K., in September 2007. She was also featured by Dominique Hoeltgen, Journalist/ Author, Paris – Mumbai, in her book ‘Inde, la revolution par les femmes’. She comes from an affluent business family of Mumbai. She did her schooling from the Queen Mary School, Mumbai and her graduation from Sydenham College of Commerce & Economics, attaining her Bachelor of Commerce from University of Mumbai. She was a meritorious student, a recipient of merit offer for Government Scholarship in the academic year 1988 for additional studies. She is fluent in many languages such as Hindi, Marathi, English, German and French. As a child her interest was Science but when she reaIised that she was the grandchild, chosen to helm their family business she moved to commerce and Accounts. It washer love for Science that helped her develop logistics and gave her the required knowledge and skill sets; as chocolates are temperature sensitive, they are fragile making it extremely important to maintain the optimum temperature. Every day is a high point in her career as she loves to learn as well as teach. She is able to activate both on a daily basis with extreme ease. 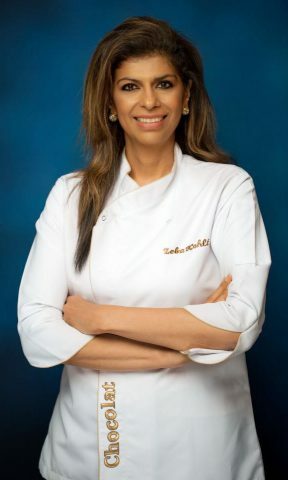 She took over the family business including Banquet Halls and the family Educational Trust at an early age.With several awards acknowledging her credibility as a Chocolatier and for her contribution in social work by providing exemplary services, Ms. Zeba Kohli is an eminent name amongst confectioners in the country. She has also created amazingArtand theme events including the international brand TUMI. 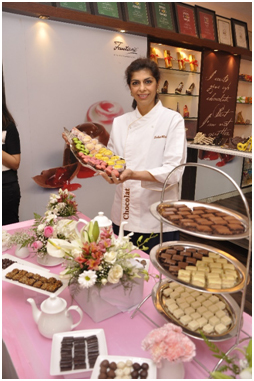 Ms. Kohli has been on the jury of the World Chocolate Masters India and was an ambassador of the Belgian brand Callebaut. She received certificates for training in Chocolate making from several places around the world. Recently, she has created a new line of Brownies called “Fancy That’’ which will Soon be available Online. She has also participated in and contributed to several women empowerment conferences, urging women across the country to rise as entrepreneurs, being an inspiration to many. She is a Voluntary Cancer Counsellor and runs an educational Trust. She also mentors young entrepreneurs in colleges and has created a platform called PROJECT 7 to promote budding entrepreneurs & she Counsels Cancer patients on nutrition. She says that every moment is her best moment at work. She focuses on it completely and passionately. Probably Iyengar yoga in the evenings completely relaxes her. The time spent with her family (husband Mr. Rajesh Kohli and their two lovely daughters) and laughter are her staples of happiness. She loves South India &south Indian filter coffee! Appeared on Breaking Bread with for NDTV Good Times with Aditya Bahl. Appeared on Do IT Sweet for NDTV Good Times with Natasha. Appeared on show “Pressure Cooker” for NDTV Good Times with atasha. Organising the Chocolate Task for Kingfisher Calendar Model Hunt for 2011. Invited at the Times Now Foodie Awards, 2011 on February 13th to give away an award. By Shekhar Suman on Sabe TV in “Carry on Shekhar”. WithVikram Kaushik – Tata Sky on Times Now. WithYukti Anand of UTV World Movies for the show CEO’s pick 2. She has graced the cover of the Upper Crust Magazine in 2014, Food Magazineand the Prestigious SAVVY Cookbook. Ms. Kohli also appeared in the much loved FeminaWomen’s Magazine. Her articles and recipes were published in many newspapers and magazines. She has also been interviewed by several maganizes and dailies such as the BBC Good Homes, The Upper Crust, Verve, Society, Taj City Guide, Elle, Food Talk Magazine, Harper’s Bazaar, The Times of India, Business world etc. just to name a few. Zeba Kohli launched LINDT Chocolates of Switzerland in India over 25 years ago. 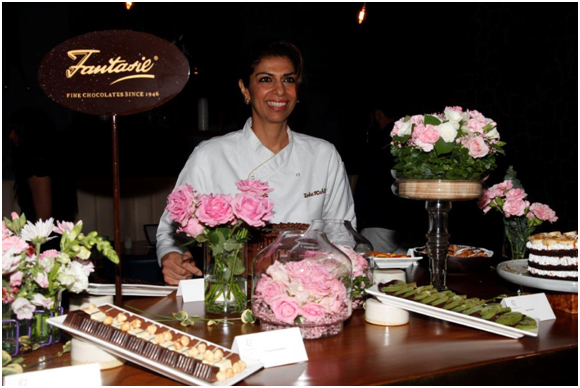 She was on the panel of judges at the 2012-13 and 2013-14 Mumbai edition of the World Chocolate Master hosted by Callebaut. She has also been appointed an Indian honorary ambassador by Barry Callebaut.